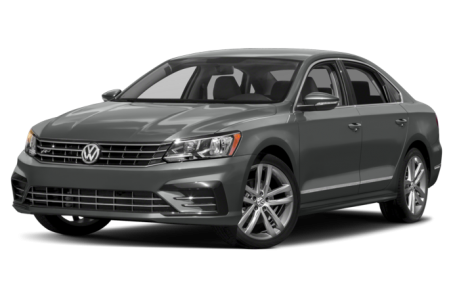 The 2018 Volkswagen Passat is a midsize sedan that competes with the Ford Fusion, Mazda6, and Honda Accord. Under the hood, the Passat is powered by a 170-hp, turbocharged 1.8-liter 4-cylinder engine mated to a 6-speed automatic transmission. A more powerful 280-hp, 3.6-liter V-6 is also available. Four trims are available: the S, SE, R-Line, and SEL Premium.